The sound of piano music can be quite soothing and the joy of creating that music is something appreciated by plenty of people of all ages. A high quality upright piano is the perfect accessory for most homes because it is not only provides years of entertainment and listening pleasure but is a beautiful piece of furniture as well. For the average family, an upright piano is usually the most suitable choice. There are grand pianos that are too large for the majority of homes and digital pianos don't always have the quality of sound that provides that feeling of power and depth that comes from an acoustic piano. Click Here to view our range of stock available. There are also options for player pianos and silent pianos that have extra features in addition to traditional playing and hybrid pianos that combine acoustic and digital elements within an upright frame. 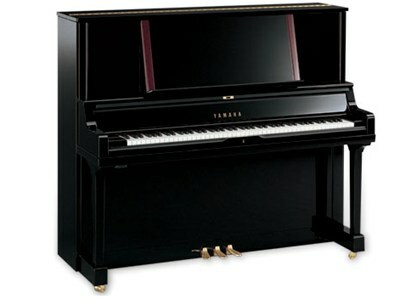 There are several types of upright pianos in Melbourne to fit a variety of needs. Full size uprights are also called professional uprights and can actually have larger soundboards and strings that some smaller grand pianos. A studio piano is a bit shorter and is commonly found in schools and studios as well as homes. The next smallest is the console piano. A spinet is the shortest of the upright pianos with a height of roughly 91 to 99 cm. The difference in the sound of these pianos is primarily the volume - the longer the strings and larger the soundboard, the louder the piano will be. Just like with any product, it pays to find the experts in the field to ensure making the right choice. For the best upright pianos in Melbourne, you need to decide if you want to start with a pre-owned model or go with a new piano. Check advertisements and references and even call for the opinion of local music teachers or other professionals. When you find a reputable dealer, be sure to check for the full range of styles, colours, finishes and brands available because a piano is a major purchase and will occupy a prominent place in the home. Try a few different name brands to see how their sounds compare. Given the use of natural wood types and a variety of construction techniques, acoustic pianos do have different sounds and some may be more pleasing to the ear than others. Depending on where the piano is to be used, follow the suggestions of the dealer because he or she will know which models stand up to kids in school or church halls and which are more suited to a gentler hand. Find out about service contracts and warranty provisions so that if something happens, it is clear what has to be done. Buying upright pianos in Melbourne for use at home is a great way to encourage family time and the pursuit of an interest in music. Playing music is a pastime that provides hours of relaxation and is something that can be done throughout the years. Trust the experts for help in choosing the best piano to suit your needs and as well as last for a long time.